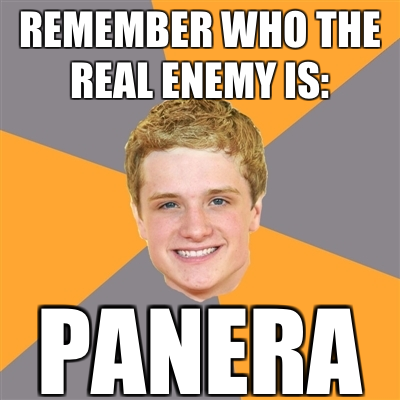 Welcome to District 12: The Top 7 Hunger Games Memes! What's a meme? A meme in its most basic form is an idea that gets transmitted from person to person. An Internet meme is an idea (shared in videos, images, catchphrases, etc.) that gets spread virally online. Online, when we say "meme", we're usually talking about Internet memes. Welcome To District 12 Admins Courtney and Tiffany hold a discussion about the most popular Hunger Games meme on the web. What was going on in the fandom when we saw them and what exactly makes them hilarious. *Disclaimer: As is the nature of Internet memes, we have not credited the creators of these memes. Why? Because sometimes it is unknowable. One person makes one and it spreads like wildfire. Sure we may see someone post these on Tumblr, but sometimes they get re-posted from a random place on the web. This is the nature of memes, born from the womb of Internet culture. One person may be responsible for the creation, another responsible for the joke. So who created it? We like to think it is the gift from the Internet gods. Just like all the other memes in existence, it just....exists. 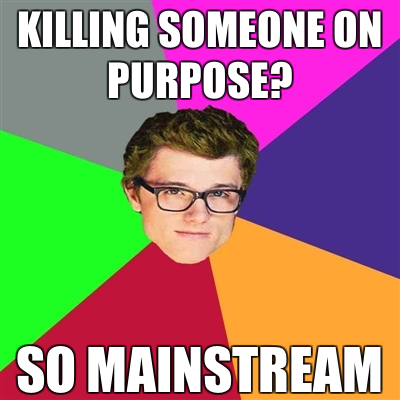 CC: I LOVE HIPSTER PEETA. 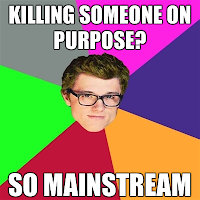 I think Hipster Peeta may be my favorite of all the memes. TG: When I saw this one for the first time, it killed me. 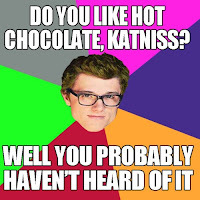 CC: For some reason, I find Hipster Peeta to be more amusing than if you had Hipster Katniss (which I believe there is) or Hipster [insert HG character here]. TG: I think because Peeta is so nice, it's kind of hilarious to make him into a douche. CC: Totally. There it is: THAT'S the reason! 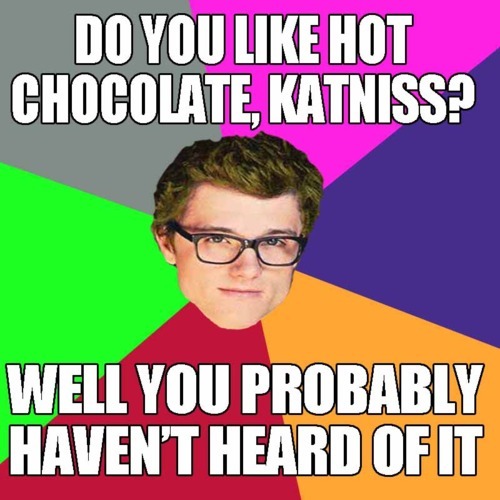 I imagine him offering Katniss the hot chocolate smugly. TG: Or he's like rolling his eyes. CC: There are many other ones to this one, I think we've seen advice Katniss, advice Suzanne Collins, advice Gary Ross, etc. But again, I find advice peeta to be the funniest. I guess because like you said, Peeta is such a nice person, it tickles me. TG: Me too! I think this time because I imagine him being very earnest about it. 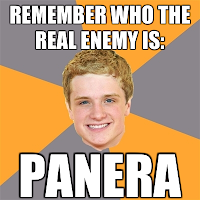 CC: Also the idea of him having Panera as his enemy....is silly. 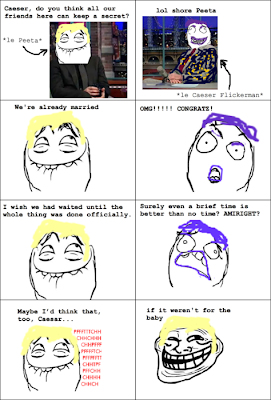 CC: I thought this was the most hilarious of the rage comics. This is what Hunger Games fans did when they were bored and waiting for casting news. Thus was born innovation and hilarity. TG: The pokerface frame and the last frame is the best I think. CC: I agree, her face as she drops it cracks me up. I think what sent me in hysterics the first time I saw this was the last frame where they LOL together. Love the LOL face. TG: And then the freaking troll face in this one. CC: Peeta, is trolling all of Panem in that moment. 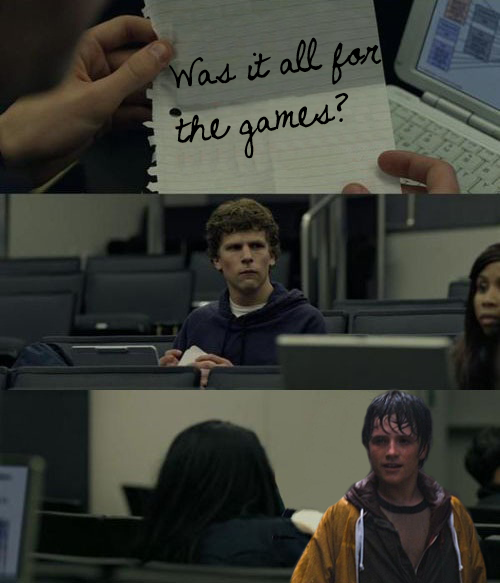 TG: Peeta: Master Troller. CC: Troll in the dungeon! Oh, sorry wrong fandom. Peeta is indeed the Master Troller. 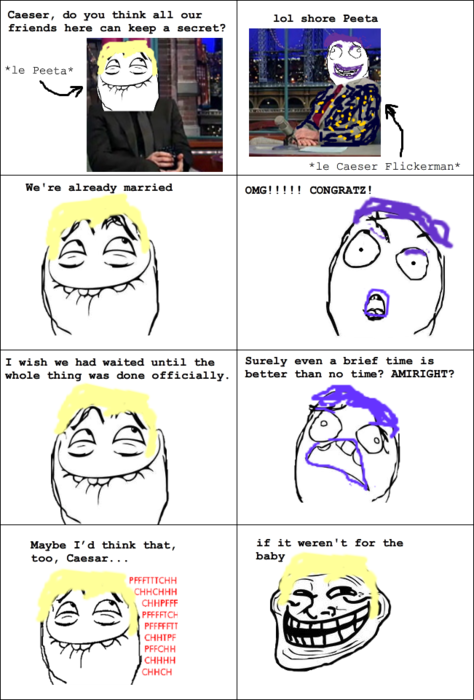 I think all the excitement for the trailer/movie news has kind of put a hold on the rage comics, I don't see as much anymore. TG: I can't even. LOL this still makes me laugh. 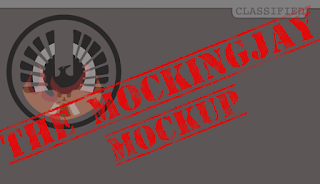 CC: I don't see these anymore, but when this was a trend, I think there was one for every fandom. CC: I think this is the best it could get for this particular meme because this was during a time when there were no stills yet, so the picture we get is a YOUNG wet and rainy Josh Hutcherson. TG: Yeah, it's from Bridge to Terabithia. My creys. CC: In order of creation. CC: The greatest. 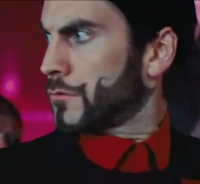 I know I said Hipster Peeta's my favorite, but I actually think it's this one. TG: I'm so happy this has become a running joke. CC: The more stills we get, the more updated it gets, the more amused I become. TG: It'll always be relevant. 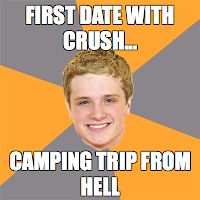 CC: Going from baby Josh to Peeta Josh, it's all hilariously perfect. 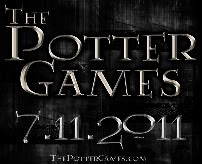 TG: I think it just speaks for itself, the fact that they keep updating them. CC: I think all of Tumblr can identify with SAP (Socially Awkward Penguin). CC: I think it's safe to say Katniss is a little SAP herself. TG: Apparently to E! Online that's a horrible flaw in a woman's personality. CC: Oh I'm sorry if she's too busy being poor and desperately trying to feed her family by breaking laws that could get her murdered. CC: Anyway, Socially Awkward Katniss. 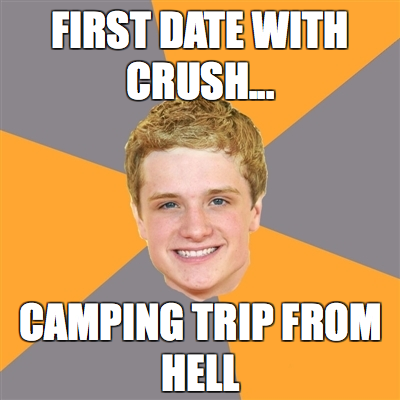 Great characters in The Hunger Games, Katniss is totally socially awkward and Peeta isn't. Mostly because they grew up in different households, different class levels, different lifestyles. 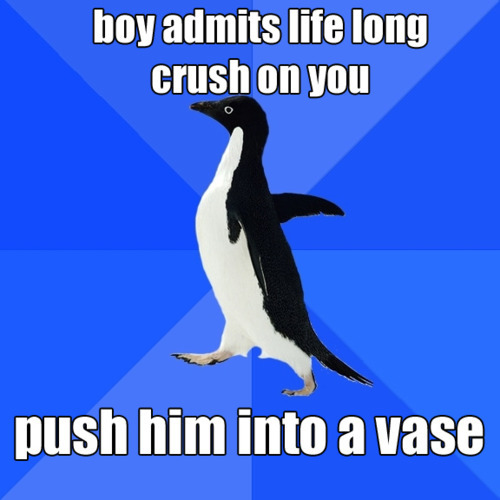 TG: I do like this meme! CC: Gif reactions are indeed the best way to convey thoughts and emotions on the Internet. So....Marvelous. This one's an up and comer. TG: I love puns! If I could use that gif for everything I would. TG: Watch out everyone who follows me on Tumblr. I can't be tamed. Will reblog all the things. What's Next for Meme Culture? TG: In under an hour that beard became FAMOUS. TG: I just want more of them! CC: Ditto! I'd like to say to the Internet culture and it's people, just because we have more and more exciting news doesn't mean you should stop making Hunger Games memes, rage comics, etc! We love them!